OYO 15526 Lime Wood Stay is situated in Sushank Lok, Block B. 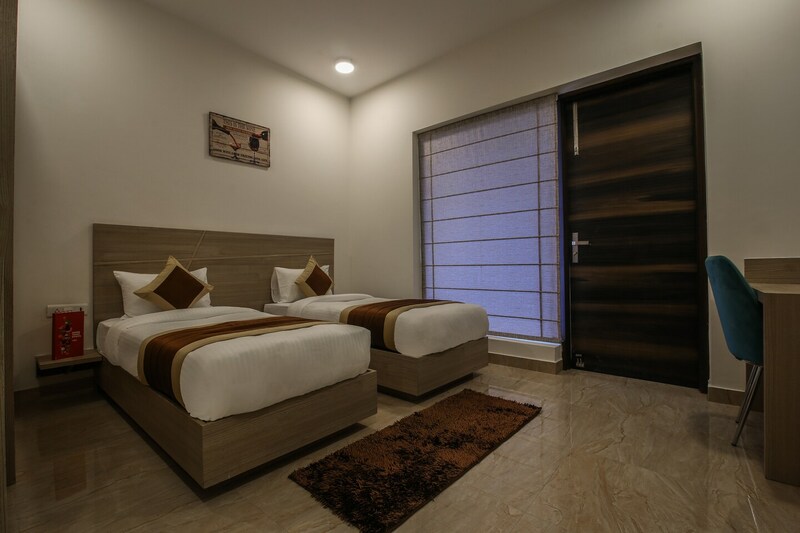 It offers a really good stay option with great connectivity since its almost walking distance from the Huda City Centre Metro station. This accommodation has really pretty rooms with excellent interiors. The rooms are large, comfortable and stylish. The marble finish of the floor and the soft tones of the lighting and translucent drapes give the rooms a classy look. The rooms also consist of a table and chair set for working travellers. Other than that, there is a small cute cafe inside the property. The property provides free Wifi, TV and power backup as essentials. Also, offer AC, king-sized bed and kitchen for a relaxed stay. For urgent need of cash SBI is just a few minutes away. For food options, just walk over to Galleria Market, which has great food options or walk towards Bestech Chambers food court. Nearby restaurants include Embassy, Norenj, Koolchas, Naivedyam.